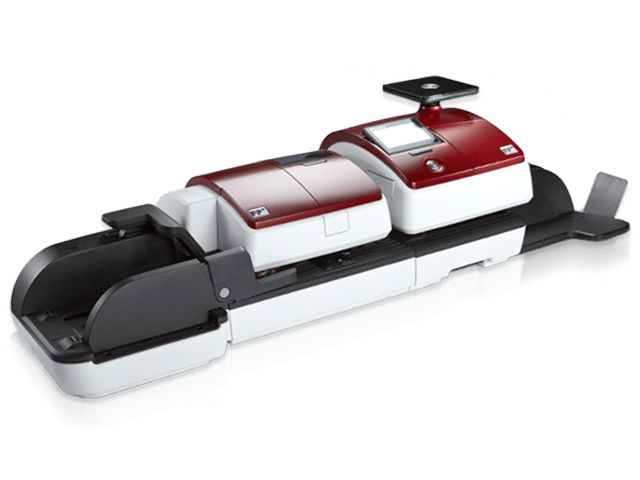 The PostBase Qi6 is part of the FP Mailing’s innovative PostBase range, this model is a medium volume-franking machine that is capable of franking 65 letters per minute. 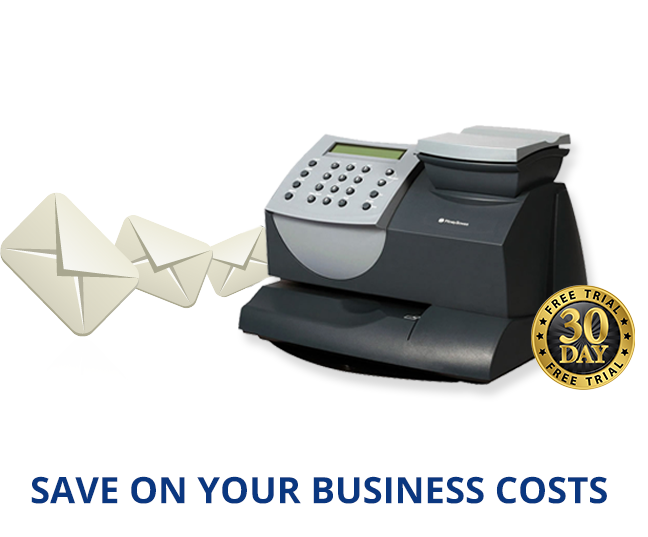 This speed and capacity of franking machine is best suited to businesses that send up to 400 items of mail each day. The features of this franking machine make it suitable for businesses who send out low to medium volumes of mail. If your business is sending out larger amounts of mail the machine can be fully automatic to lessen the amount of human involvement and increase the speed of the process. There are three scale options of 5kg, 7kg or 30kg, which will mean every piece of mail is accurately weighed, and priced avoiding overpayment and saving money. The PostBase Qi6 has the latest franking technologies, it is Mailmark compliant meaning you can frank the new 2D barcode and have access to the latest franking prices. You will also have access to Smart Meter technology meaning you can frank in smart blue and VAT services. Colour touch screen to promote ease of use – design is similar to a smartphone. The PostBase range has a collection of features that come as standard throughout, so you will see similarities in the range such as the included label dispenser, integrated scale and sleek touchscreen design. 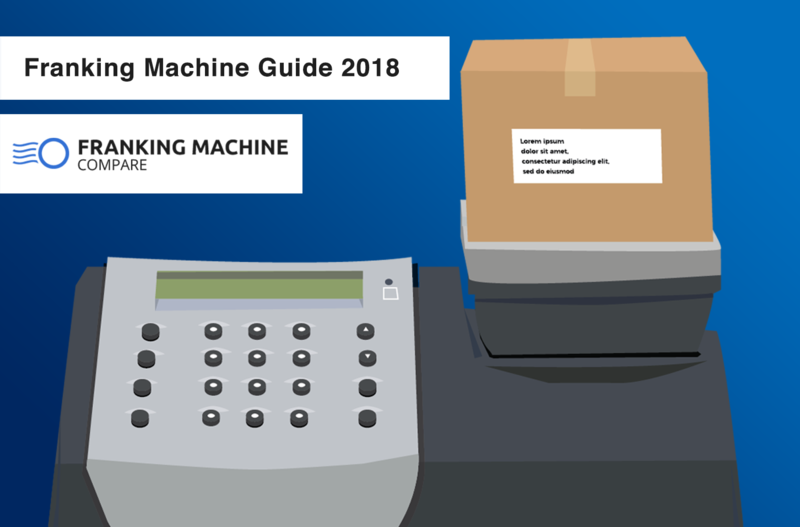 As you move up the range the franking machines become faster, have more available promotional messages, departmental accounts and larger weighing scale ability. Every franking machine in the PostBase range is high quality, has great features and will save you time and money. 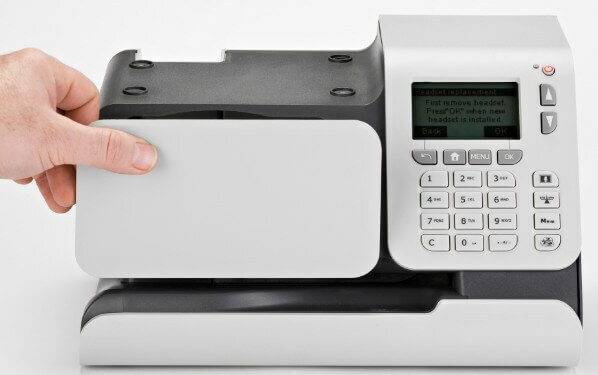 The cost of the Postbase range has not been made available by FP, however if you are interested in this franking machine and would like to find out more (including the price) please request a quote from us and we will be more than happy to assist you. As a general guide you can expect a medium volume machine to cost around £40- £80 a month to rent. The Qi6 is another fantastic franking machine offered by FP, if you are sending up to 400 items a day this should be attracting your attention. The Qi6 is not bulky, loud or dull, in fact, it is the exact opposite – the design is sleek, modern and the machine runs quietly ensuring it does not cause aggravation and irritation within the office. This franking machine is also up to date in terms of features, software and technology, you will have access to Smart Meter technology and Royal Mail’s latest franking and most efficient franking mark, Mailmark. To reduce the amount of time employees spend on the mail jobs you can include the automatic letter feeder and automatic sealer to fully automatise the process. FP have produced a range of top quality, effective and efficient franking machines that will benefit any business by saving time, money and stress!